This item is currently backordered. No estimated restock date is available at this time. 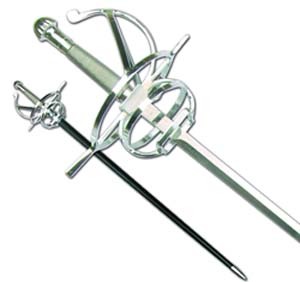 A beautiful, 440 stainless steel rapier featuring a cast metal ring-designed hilt. A matching scabbard is also included. You must be at least 18 years of age to purchase this product.